Ethan Allen Hitchcock was born in Mobile. 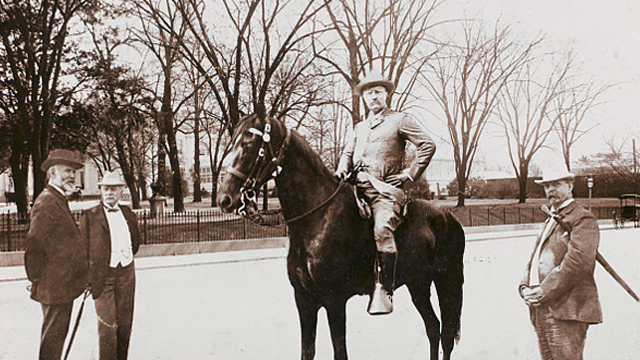 Hitchcock served as secretary of the Interior under President William McKinley and then President Theodore Roosevelt. A grandson of the Revolutionary War hero he is named after, Hitchcock served as ambassador to Russia before McKinley tapped him to become secretary of the Interior. Hitchcock had much success prosecuting land frauds and aiding American Indian tribes. He is credited with improving the effectiveness of the Office of Indian Affairs and with being a strong ally with President Roosevelt in the conservation movement. He made many enemies in his prosecution of a massive land fraud case that began in 1903 that led to more than 1,000 people indicted across 22 states with 126 convictions.